Initially branded as just FastCash, we were founded in the commonwealth of Dominica in 2004 when the vision was realized by prominent insurance broker and businessman now minister of tourism, Mr. Robert Tonge. 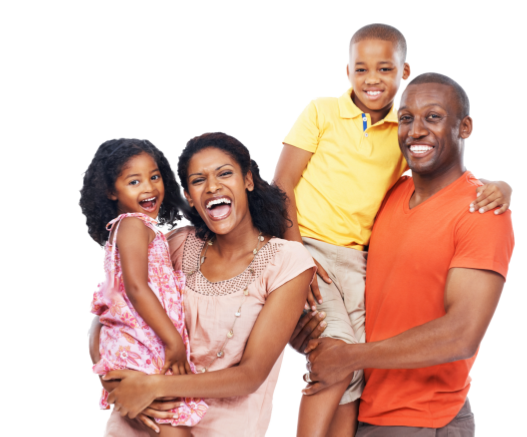 FastCash was originally created to provide small cash advances to those who needed quick access to funds to meet their immediate needs. These unsecured advances were to be repaid in installments over a short period of time via automatic salary deduction. As time went by within a 13 year period, we have recognized exponential growth through our winning formula and have since expanded. The FastCash Caribbean group was then created and have since launched operations in 6 other Caribbean states namely Antigua in 2006; Grenada, St. Lucia and St. Vincent in 2007; St. Kitts in 2011 and Barbados in 2014. We&#39;ve also extended our Vincentian base to now include the Grenadine Islands of Bequia and Canuoan and Nevis sister island to St. Kitts in 2016. As a subsidiary of a FastCash Caribbean the Carib Cash brand has been newly birth in 2016 and now blankets the island of Bermuda and now Jamaica. An affiliate of the Fastcash Caribbean family, Caribcash is a financial institution dedicated to providing high quality and innovative macro and micro financial solutions for under-served financial markets for both Consumers and small Businesses. 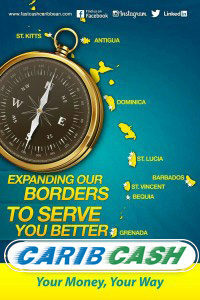 Caribcash brings to the ordinary working man and small business access to quick financing to meet their immediate needs. Need Cash? That’s where we come in. We are able to service you with small loans quickly and efficiently. Let’s fix that. Stop by your nearest office location or apply online for immediate financing to meet you needs. We believe that a financially literate public make for more secure borrowers. We therefore spend that extra time with our clients to ensure that they make sound financial decisions. Smarter – too often within business and more so the financial industry, the focus rests solely on the bottom line and no longer on the clients whom we serve. At CaribCash we walk in tandem with our customers to ensure that their incurrence of debt isn’t at the risk of their disposable income. Many overlook the fine print often operating in haste to take on based solely on a repayment that is manageable barely considering the major influencer of that figure – the interest rate. We at Carib Cash Jamaica Limited can proudly boast having the lowest interest rate in Jamaica making us the smartest financial decision you’ll make. Faster – We offer funds in the quickest time once all requirements are fulfilled. Only 2 hours for consumers and 3 days for Biz Loans. Yes!! 3 days. Better – Understanding the workings of our customers’ daily lives. We have tailored our services to work for you with what too often seems like not enough hours in the day. We completely understand not having time to go through what may have before seemed like a long drawn out process. To save you time we provide online application services for both the Consumer and Biz Loans. Simply visit our website at www.carib-cash.com and complete the online application form. It’s that easy! Can’t come to us, we’ll come to you! Our mobile customer representative will be dispatched upon request to come to you to process your loan saving both you and your employer valuable time. Our mobile app provides instant access to your account in order to current with your balance of payments so when we say better we mean it and this better comes at no additional cost to you our valued clients. Life wouldn’t be life without the mystery of the unexpected. Though too often these eventualities tend to take a negative turn. Don’t worry, we have you covered. All loans will be instantly covered against Death, critical illness, temporary disabilities, permanent disabilities and involuntary loss of employment. Jamaica your financial solution of choice is here. Click, call or visit us at your soonest convenience. Let us know how we can fulfill your financial needs. Carib Cash – Smarter, Faster, Better. it’s been said that if you want to go fast go alone if you want to go far go together. Business Owner – needing access to funds to build and more importantly grow a sustainable business. The consumer – who is the recipient of that good or service needs financing in order to make purchases. Caribcash provides unique and relevant financial services tailored to the needs of consumers across the Caribbean. Our winning recipe contains many ingredients, chief amongst which is leadership quality. Find out more about us by clicking below. The key to Caribcash's success is an instinctive, conviction-based, principled, and entrepreneurial approach to everything we do.